Autumn has to be my favourite time of year. It might be cold outside but that means plenty of nights in snuggled up on the sofa with a warm blanket. At the moment I can't say there's anything else I'd rather do in the evening than drink mugfuls of hot chocolate whilst wearing my Primark bunny twosie AKA the best pyjamas ever. As the nights are drawing in I feel like there's more time for a bit of pampering and that is one of my favourite ways to relax. 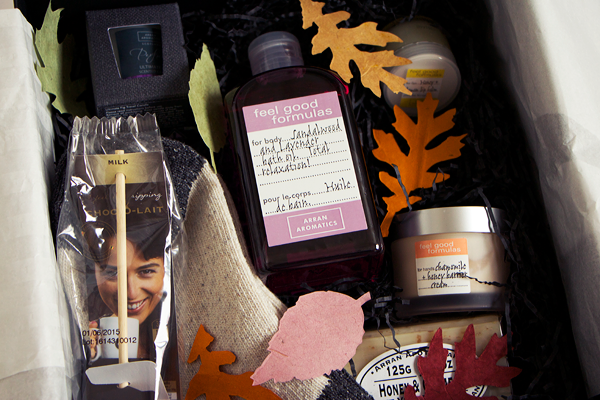 Last month Arran Aromatics sent over this wonderful gift box filled with all sorts of Autumnal treats. I've been using these products as part of my evening pamper routine and there's nothing I look forward to more at the end of a long day. I normally start off my pamper routine by lighting a few candles. I'm pretty candle obsessed in general but when it starts getting dark at 5pm I always have at least one burning in my house. 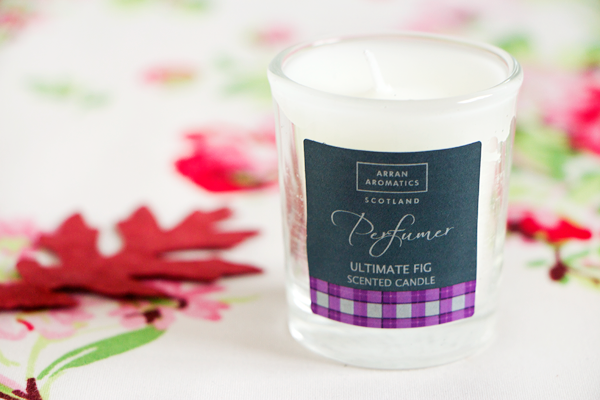 I love eating fresh figs & think they smell gorgeous so I was excited to see this Ultimate Fig Scented Candle* in the box. This is the travel candle version so I burned through this quite quickly but I liked it's subtle woody notes combined with the scent of honeyed fig & cassis. It has such a light fragrance that I think it is best suited to the bedroom so you can enjoy it's gentle ambience before you go to sleep. Next I like to run a hot bath so I can have a long relaxing soak. Lavender is one of my favourite scents for bath products because it helps to induce sleep. This Sandalwood & Lavender Bath Oil* is the epitome of indulgence. It smells incredible and the aroma is so calming for both body & mind. It makes my skin feel super soft as it contains coconut & wheat germ oil and the delicate scent lingers on my body for hours. The label says it all really, it leaves me feeling totally relaxed and ready to dive into bed. 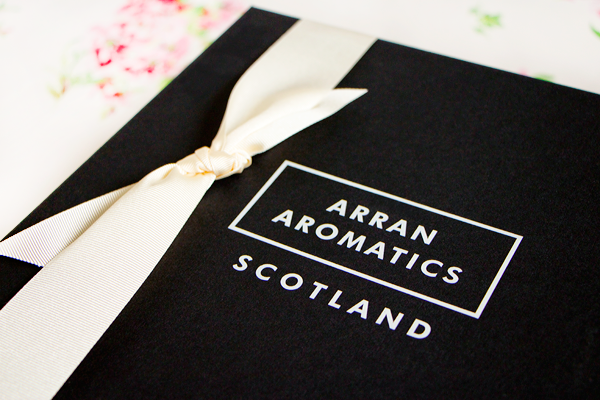 These soap bars are some of my favourite products from Arran Aromatics. Here I have the Honey & Oatmeal Vegetable Soap*. This soap has such a strong honey scent which I absolutely love. 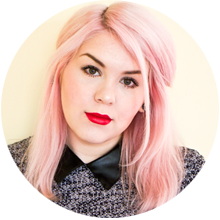 If you've ever tried the Honey Trap lip balm from Lush, it's exactly like that! This soap is a triple threat as not only will it cleanse your skin, it exfoliates & nourishes at the same time. Unlike most soaps on the market this one won't dry out your skin at all. After a bit of a soak I like to use this to scrub my body & it works wonders on any rough patches. I actually prefer these to Lush body soaps now as they're just such good value for money! I'm pretty terrible when it comes to moisturising after a bath. I hate waiting around for products to sink in when I could be getting cosy in my fluffy PJs. My skin gets a lot drier at this time of year though & as an eczema sufferer I have to force myself to apply some. 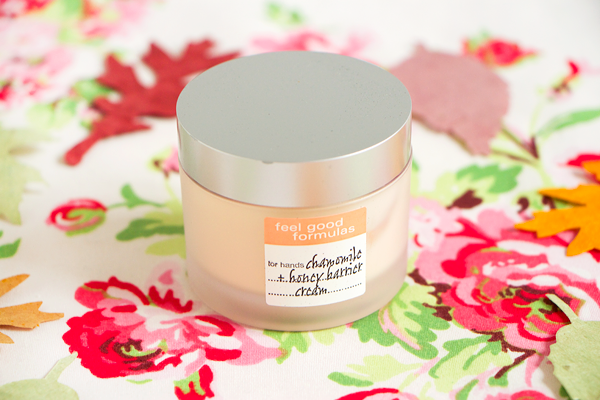 This Chamomile & Honey Barrier Cream* makes the moisturising process a lot less tiresome. The lightweight formula sinks in right away and makes my skin feel really protected. It features beeswax, shea butter, vitamin E, chamomile essential oil & pure honey extract to heal & soothe dry, chapped skin. The only thing I'm not too keen on is the smell. I wish it had the same honey scent as the soap because I'd probably like it a whole lot more. As the weather turns colder my lips inevitably get very dry so I keep a lip balm with me at all times. 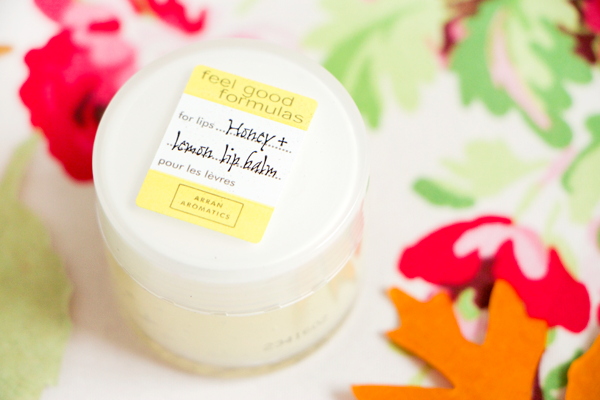 My handbag is littered with lip products and this Honey & Lemon Lip Balm* is another welcome addition. It has a lovely scent that strongly reminds me of Honey & Lemon Halls Soothers. It feels very smooth on the lips & provides a glossy finish. This lip balm also features UV protection so it'd be a good choice if you're going anywhere snowy. After going through the rest of my skincare routine I finish off my lips with this and reapply it as soon as I've finished drinking copious amounts of hot chocolate & brushed my teeth for the night. By then I'm more than ready for bed & I always look forward to doing it all again the next day! 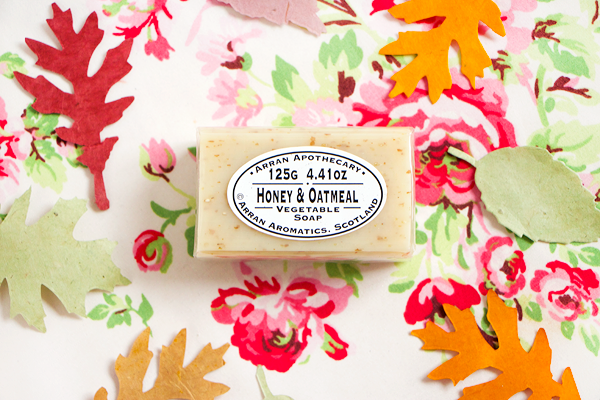 That honey and oatmeal soap looks and sounds incredible! Pretty much all of these products need to be in my life right now haha.